Pinterest users have a shopping mentality – they are there to buy. Wayfair.com found that Pinners spend an average of 50% more than referrals from other social channels, and 20% than referrals from non-social channels. It’s a characteristic that’s unlikely to go away any time soon. In fact, it’s a strength that Pinterest plan to build on. They have just announced their intention to introduce buyable pins in a few weeks’ time. 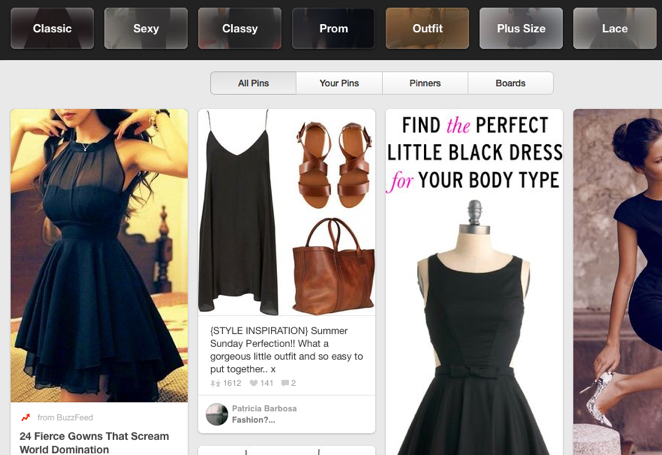 These will enable Pinterest users to purchase directly from within Pinterest while browsing pins. 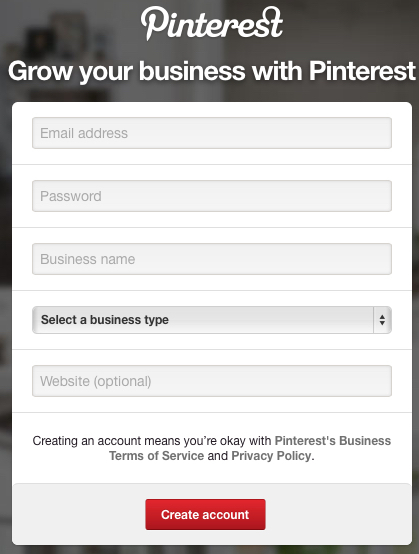 All in all, businesses of all sizes are now taking Pinterest extremely seriously. If you’re not yet, the best time to start is now. The vast majority of its content comes from businesses, its users like that content, and they are buying because of it. This shopping-focused nature of Pinterest contrasts sharply with Facebook and Twitter, where the main focus is conversation rather than commerce. 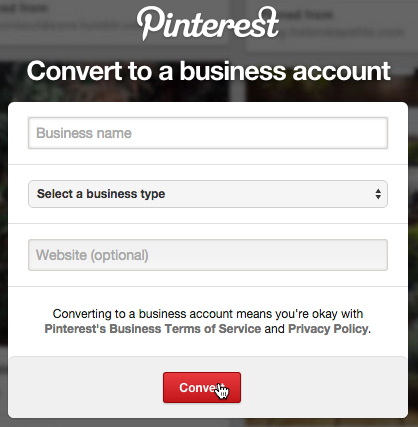 So How Do You Use Pinterest For Your Business? Firstly let’s define a few key Pinterest terms so we’re all speaking the same language. pin An image shared on Pinterest. You create a pin, share a pin, comment on a pin, repin (see below) a pin, and so on. It’s also a verb – you pin images on Pinterest. repin To pin an image that’s already been pinned. You may find a pin on someone else’s pinboard (see below) and choose to pin it on one of your own. pinboard Also known as just a ‘board’ within Pinterest, a pinboard is what you pin images – or add pins – to. 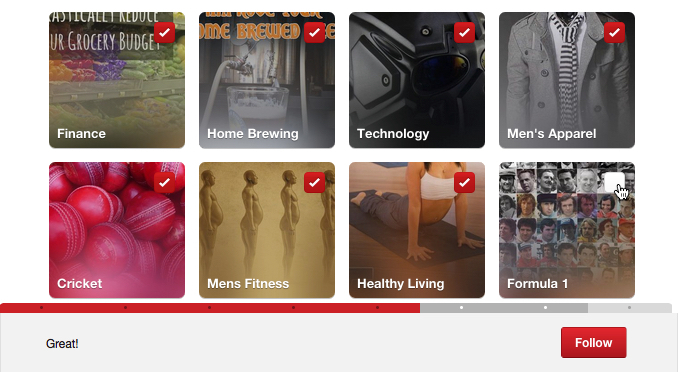 You can have multiple pinboards within your account, for example focused on specific topics. 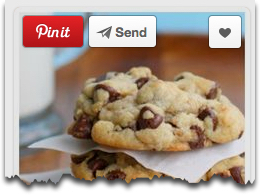 pinning The act of sharing content on Pinterest. pinner Someone who pins on Pinterest. pin it button A button on the website or browser toolbar that allows you to pin the images you find around the web. pinterest widget A widget that allows you for example to embed a pinboard on your website. To start using Pinterest for your business – in other words, using it for commercial purposes – you need Pinterest business account, rather than a personal account. The most important reason is that you’re required to do so by their terms of service. But it’s not just legal. There are various advantages for your business in doing so such as the following. Branding and visibility: Display your company or brand name in your profile. Your profile picture on Pinterest (for example, your business logo) will also be displayed with any pin coming from the website you list in your profile. Direct traffic: Display your URL in your profile. This is an active link, and comes with a verification green check icon, which helps add social proof and encourage click-through. 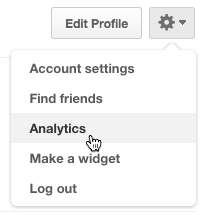 Measure and improve: As a business user, you enjoy access to Pinterest’s analytics tools (more info on this below). Need To Switch A Personal Account? If you already have a personal Pinterest account, but want to use it for your business, it’s simple to switch over to a business one. Verify your site as described below for creating a business account from scratch. 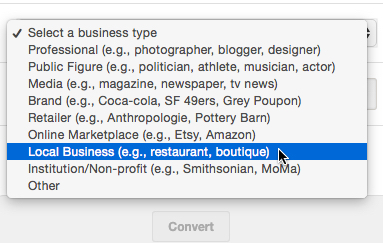 If you’ve converted your personal account to a business one as described above, skip down to the section on verifying your website. Otherwise, create your business account as follows. Your account will then be created, and you’ll be forwarded to a page where you can select some interests. This determines what starts showing up on your own feed on Pinterest (you can always adjust your interests later). Choose at least 5 and click the Follow button that will then appear at the bottom. Pick at least 5 interests to follow. Click Skip at the bottom if you don’t want to do this yet. Before you get started with anything else on Pinterest, add your profile picture and verify your website as follows. At the same time as changing your profile picture (see above), you’ll also see the opportunity to confirm or verify your website. By verifying your site, you’ll get your profile image showing on images that originate from your website, access to analytics, and the link to your site showing in your profile. 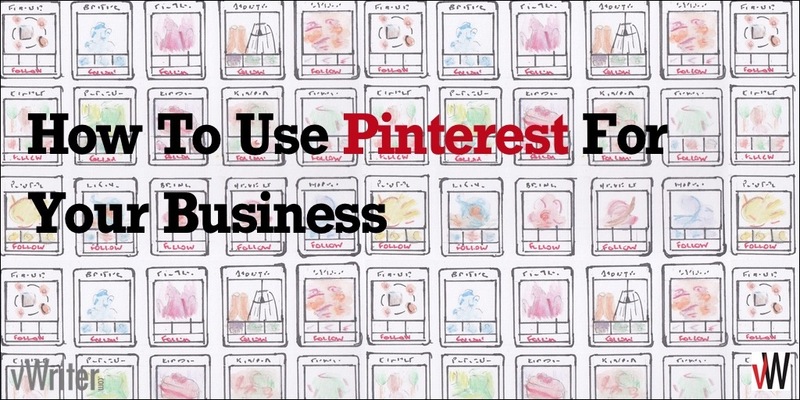 So it’s an essential part of using Pinterest effectively for your business. Click the Confirm website button as shown above. You can then either add a meta tag to your site’s index page, or upload a file they supply to your website. Click Finish, and your site should be immediately verified. Of course you benefit from Pinterest not just by pinning images yourself that link back to your site, but also by making it as easy as possible for others to do the same. Other people then discover the pins, repin them, and so on. To do this, add a Pin It button to your site. There are various options available such as the on-hover Pin It button and Pin It buttons integrated into popular publishing platforms like WordPress. For WordPress, various plug-ins are available. This blog for example uses the official Pinterest Pin It button plug-in for WordPress. Try hovering over one of the images on this page and you can see it in action. Using Pinterest Analytics is a key advantage for your business account. 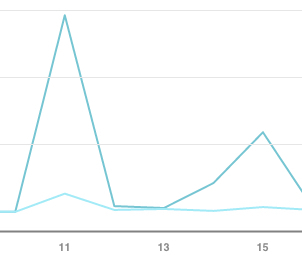 Through it, you can see data on impressions, viewers, engagements, spikes in activity, and so on. By drilling down into the information, you can see which pins and boards are performing best and attracting the most engagement. Graphs can highlight days where there were spikes in activity, and you may be able to identify practices that led to those results that you can then repeat. You can also learn more about your audience, including valuable demographics such as gender, location, what their interests are – and even usage across different devices. All this data and measurement of course gives you the data you need to ramp up your Pinterest activity. As the old adage goes, what you don’t measure, you can’t improve. Start getting more eyeballs on your pins and pinboards – as well as allow pinners to find and connect with you elsewhere on the web – by connecting your Pinterest account to your Facebook and Twitter accounts. It enables you to find people you’re already connected with elsewhere and connect with them on Pinterest too. 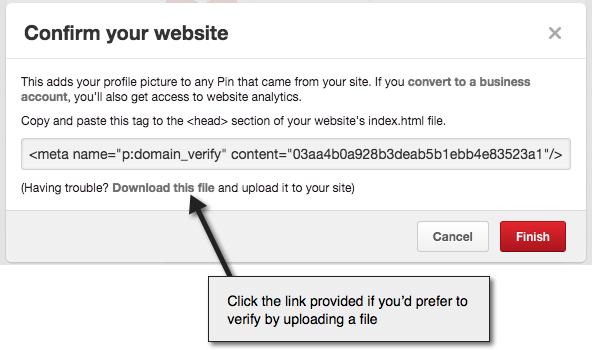 When you pin, you’ll notice additional option(s) to post to your Facebook and/or Twitter accounts as well. In this way, you have more content to share through these other networks, it helps keep your business in front of your marketplace, and it deepens your relationship with prospects by communicating with them across multiple channels. 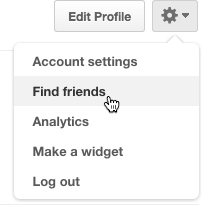 To connect with Twitter, go to Account settings via the cog wheel icon, and then click Social networks. 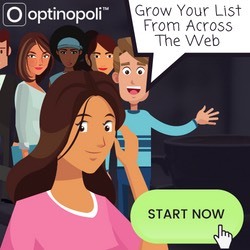 You’ll see Facebook listed here too – it’s just another way to connect. For Twitter, if you have multiple accounts, ensure you are logged into the Twitter account you want to connect with. Then switch the button provided for Twitter to Yes, authorize the app, and you’ll be connected. You’ll notice a Twitter icon appear on your profile. You can use the same interface to connect with other networks too as you wish. 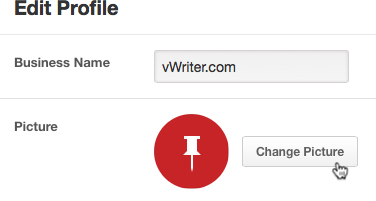 vWriter.com makes pinning and keeping your Pinterest profile up to date really easy. For example, each time you post to your blog, pins can be created automatically. And we’ll update your other networks too, including multiple Tweets over a schedule of your choosing. Include a link to your site within the comment for each pin. After all, the whole point is to attract prospects back to your site. So make it easy for them to come visit. 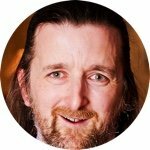 (vWriter.com adds these links automatically when creating your pins). Ensure your blog posts are as visual as possible. Your blog is of course the fulcrum of your Be Everywhere marketing strategy, as it feeds everything else, including sharing visuals to Pinterest. I also talk a lot about the importance of using a Featured Image for your post. Such an image can then also be immediately used for Pinterest along with your other social media accounts. Create other images in your posts that can then be shared and pinned as well. A big time saver, vWriter.com can create these pins for you automatically each time you post. Pinterest doesn’t just allow you to share images. You can also share videos and SlideShares, and consequently increase your reach and engagement with these other forms of media. Both are playable/viewable within Pinterest itself. Again, vWriter.com takes care of creating these pins for you too, each time you publish a new video or new SlideShare. That leaves you free to concentrate on other things. 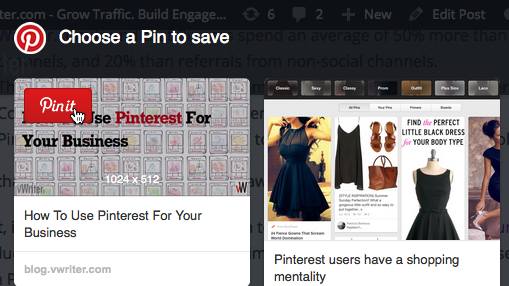 Add a Pinterest widget to your site. Attract more followers to your Pinterest account by showcasing your images outside of Pinterest. You can do that by embedding one or more of your boards on your website. To create the widget, go to the board in question and click the ‘…’ icon as shown above, and select Make a widget. You’ll then immediately get the code you need to add to your site. Another key way to attract more followers is to “be social” on Pinterest. After all, it’s meant as a social site. Find Pinterest accounts who are likely to attract people who are in your target market – i.e., who you want to attract. Leave comments on their pins, though ensure they are meaningful and interesting, Not just a bland “Great pin!” type comment. You’ll find people start following you as a result of clicking through to your own boards. Note that the people can both follow you (i.e. your Pinterest account) as well as follow boards individually. You can also follow their followers (i.e. people who might be interested in your business too), and a percentage will follow you back. Those who don’t follow you back, you can unfollow again after a few days. This can be painstaking work, but can reportedly help lift your follower count relatively quickly. Remember, your followers are notified each time you pin (through their feeds), and so this has direct consequences for the traffic you consequently attract to your site. As already summarised, your analytics help show you what’s working–and what’s not –within your account. Increase your results and performance on Pinterest overtime by using the data accordingly. Share pins and pinboards to Facebook and Twitter. Of course, many of your followers on Facebook and Twitter (see how to build more Twitter followers) will also have Pinterest accounts, and may want to follow you on Pinterest also. By showing you’re active across multiple social media channels you also increase your authority and credibility. You also increase the chances that your prospects will see your marketing messages. Allow visitors to your blog to pin images easily. As described in the section above, make it easy for visitors to your site to pin your images. Add a Pin It button to your site, and then review your analytics every so often to gauge the type of content that’s attracting the most engagement. The more you pin, the more content have available for your potential market to find, and connect with your business. Plus, you keep your business in front of your followers more often, and keep reminding them who you are. This builds the relationship – the all-important know, like and trust that forms the basis of online sales. The more you can systemize your pinning, the easier it becomes, and the more visibility your business can enjoy. Learn how. As for other social platforms, use hashtags for pins within the pin description. This helps searchers find your pins, and increases your visibility further. I love Pinterest so much! It is currently my #1 source for traffic next to Google organic traffic.